Cute Kitty - Little Leela definitely thinks she's a big hunter gatherer. Stalking her prey under the big tree. 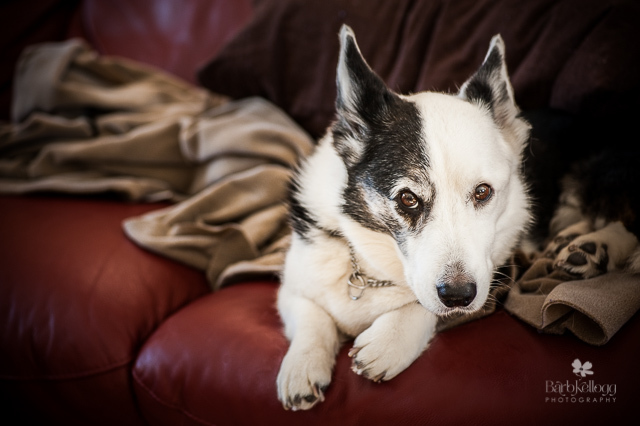 "Corky's last days" - My favorite image of 2015. Favorite Images of 2015 - The end of the year is often a time of self reflection, photographer or not. Things we did right. Things we could improve. So I thought this might be a good time to share my favorite images of 2015. They reflect a wide variety of subject matter. I photograph more than nature – people, pets, and a variety of images to grow my stock photography portfolio. And some images are just ones that I like, despite their imperfections or lack of public appeal. Magical moments with a girl and her horse. For one reason or another, I don't take or make the opportunity to photograph silhouettes. 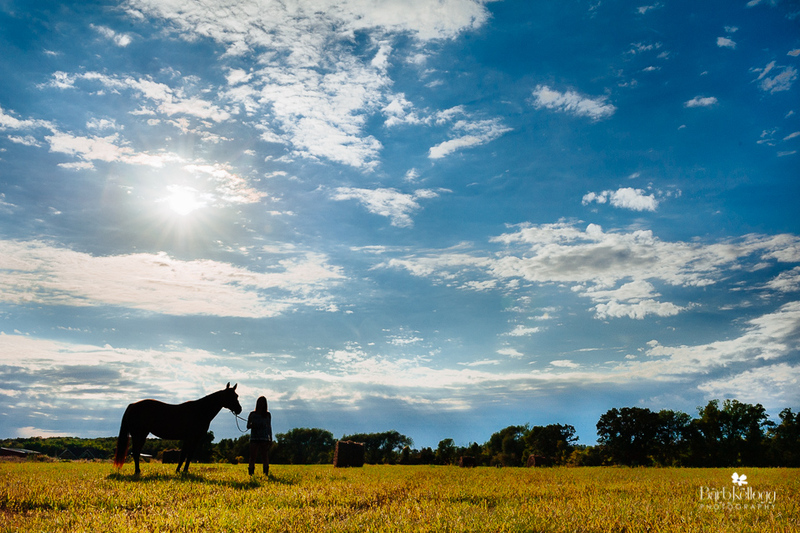 The work of a wonderful equine photographer friend (Shelley Paulson) of mine inspired me to create this image for my client. Why share these with you? Because I think it's a nice way to show you a small sample of my work. Of course I'd love for you to explore all the images I have on the website, but let's be realistic, who has the time? These images are ones that I keep coming back to...I just simply like them. They are pretty and make me smile. Whether they be soft and dreamy, or show an emotion, these are the ones that I want hanging on my wall. (Ok, the images of another person's family I wouldn't put on my wall, but you know what I mean.) These images really aren't in any particular order. I love them all, and for different reasons. 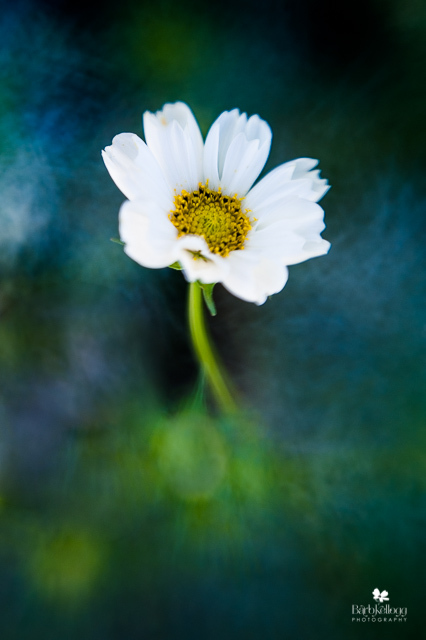 This first image, white cosmos..., was taken in my yard last summer. I had seen other photographers' images of cosmos flowers, and so I decided to grow my own from seed. Oh gosh! Who knew you needed a planter deeper than five inches for these babies! They grow quite tall, and have thick stems. So it wasn't the prettiest display in front of my house, but my goal wasn't to make my house look pretty on the outside. The results you see here (white cosmos and summer dreams) were my goal! I wanted soft, dreamy images, and that's what I created. I love how the background looks like a painting, this was not something I did on my computer. Only minor color alterations were made to bring out the cooler blue/greens. The KW family session was really wonderful to do. The parents are friends of mine, and their daughter, well who wouldn't fall in love with her? It can feel awkward to work with friends; it's more difficult for me to tell them what to do. (They aren't afraid to talk back!) On the other hand, I can be more relaxed just because of our familiarity with each other. It was a fall session. They were worried because of the on again/off again drizzly weather. We did take advantage of these trees for shelter when we needed to, but it really wasn't a problem at all. It was a little chilly, but with coats nearby to put on between images, it was a fun experience for them. I had two colors of cosmos that I planted, white and these pink ones. Soft and dreamy...... You can see the greens in the background (grass), and if I'm remembering correctly, the tan color is actually the brickwork on the side of my house, it's just so out of focus that it provides a beautiful soft backdrop. I have plenty of seeds leftover from last year, so I'll plant some more again. In a deeper planter this time! This session was a surprise for Marley's owner. It was all a bit cloak and dagger when I showed up at the scheduled time because the owner hadn't left on time, so I had to hide out. So I drove my car around the corner and waited for the "all clear" from the daughter I was working with. 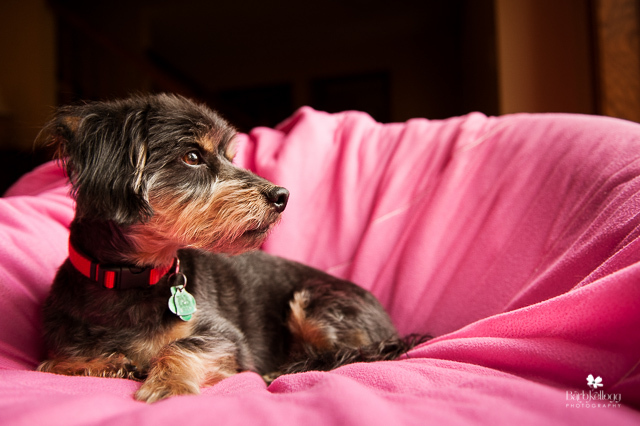 The timing of the session was coordinated soon after his haircut by Nicole of Lucky Dog Pet Grooming in St. Cloud. Hey even a dog has to look his best! Marley's session was split between the back yard and indoors. Marley loves his pink blanket on this chair, so of course this was a "must get" photograph. "Hawaii" and "orchid" -- need I say more? I honestly have no idea the name of this orchid. I photographed it while in Hawaii. 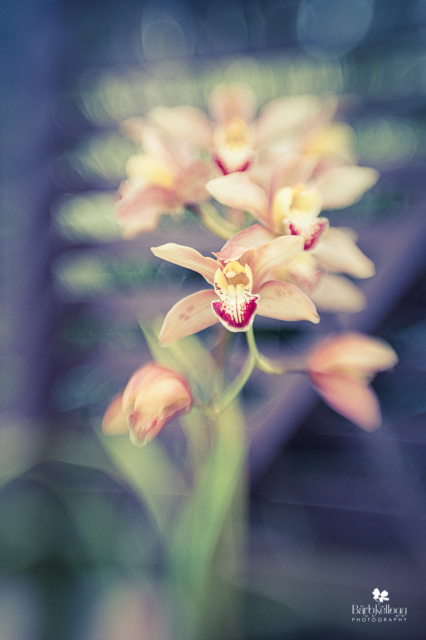 You'll notice a theme here, but I love this one for it's softness and painterly look, too. This one was fun to capture. My cousin and her husband were spending a week at a resort near Richmond, Minnesota. We took their pontoon out one evening and floated all stealthy and super spy-like by this party of pelicans. They were pretty tolerant of us, but they did break up and paddle away from us when we got too close. (Guess we weren't that stealthy after all.) The bonus was the bird taking flight into the woods (top center). 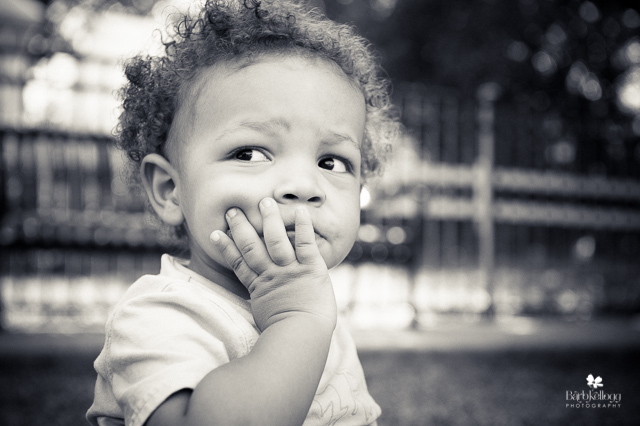 Mother and Son session, or, Things that make you go "Hmmmm"
This little guy is cute, isn't he? His mom swears he's a smiley kid, but whenever I'm photographing him, I get all sorts of other moods. Which I love!!! 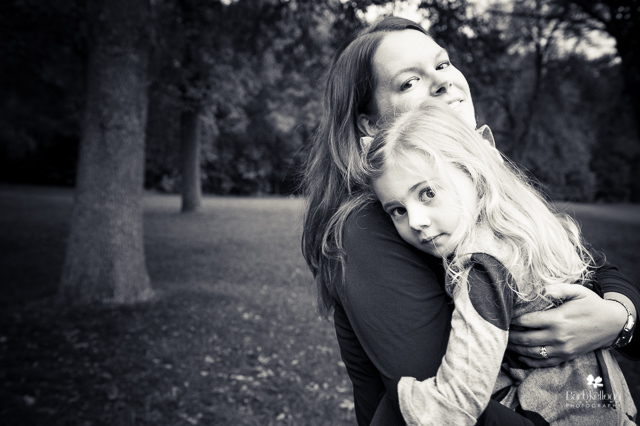 Kids aren't smiling and happy all the time, and capturing these other expressions for moms is just priceless. To date, this is my all time favorite image of my dog. And he's been photographed a lot! He loves napping on the couch, so this is SO him. Ok, eight images later, this blog post is finally done. I hope you enjoyed seeing my favorites. If you've had a chance to explore my work on the website or at art fairs, which images speak to you, are favorites of yours? Comments welcome on the website, or an email reply is cool, too.